Have you ever asked yourself: How should I get my home ready for the fall season? Here's how, this week we will give you a step by step list for fall home preparations. As much as you may not want it to happen Fall is fast approaching. It may not seem so after such a hot weekend… but it’s still coming. Fall brings cooler temperatures and well, falling leaves. This entails some changes that homeowners have to account for. In the PNW the weather can change pretty quickly and we want to ensure you are prepared and on top of it. Today we will give you a checklist to follow for some fall maintenance tips. It is important to keep up with these tips to ensure that your home remains in the best possible shape year to year, and season to season. Most professionals recommend changing your air filters every other month. During the summer months more dust, hair, pollen, allergens, and other particles make their way into your air system. With the approaching colder weather it is a good idea to change the air filter as well as stock up on a few extras so you can pop them in once every few months as they get dirty. To ensure your home stays nice and cozy have your furnace inspected. Over time many of the components can wear out and result in expensive damage, cold days, or even poor air quality. Don’t risk it, before the cold weather comes have it professionally inspected and serviced. In the long run this will save you tons on repairs, and efficiency. It is also important to have it checked for carbon monoxide to guarantee safe usage for you and your family. Many professionals recommend re-caulking your windows and door seals on an annual basis. This may be a little too often, but an annual inspection is definitely a must. During the summer with the dry weather and extensive heat the seals can crack & damage. Check all your windows and doors, and repair as necessary. An inexpensive solution to potentially hundreds of dollars in savings on heating bills. As well as a more cozy atmosphere in your home. This is the perfect time to ensure that all of your smoke alarms and carbon monoxide detectors are in good working condition. Firing up your furnace for the first time in months without an inspection may release harmful carbon monoxide into the air and you don’t want to be unaware of it. Check & replaces all batteries that are low, and ensure that your device is working properly. Fire damage or carbon monoxide poisoning is much worse than spending a few extra dollars on batteries or even entirely replacing the systems. If you are tech savvy you may even want to consider investing in the new Nest Protect which is both a smoke alarm and a carbon monoxide detector that is controlled through your smartphone. But hey, that’s just a suggestion. Cold wet weather means more dirt and moisture getting tracked into your home. With the holidays coming up in just a few months you will have plenty of guests coming and going making the situation even worse (who decided to have all the major holidays in the winter?). Make sure your door mats are in good condition, or even consider purchasing new ones. Empty out your coat closet and shoe rack leaving plenty of space. Watch out, the rain is coming. In the Pacific Northwest you can be sure that we will get rain and lots of it. This one is a no-brainer, get your gutters cleaned out to prevent leaks, potential clogs, and damage not worthy of a headache. Either do it yourself or hire a professional to remove leaves, dirt, debris, and anything else you find. Also, because of the immense amounts of rain that we experience checking your roof is a must. 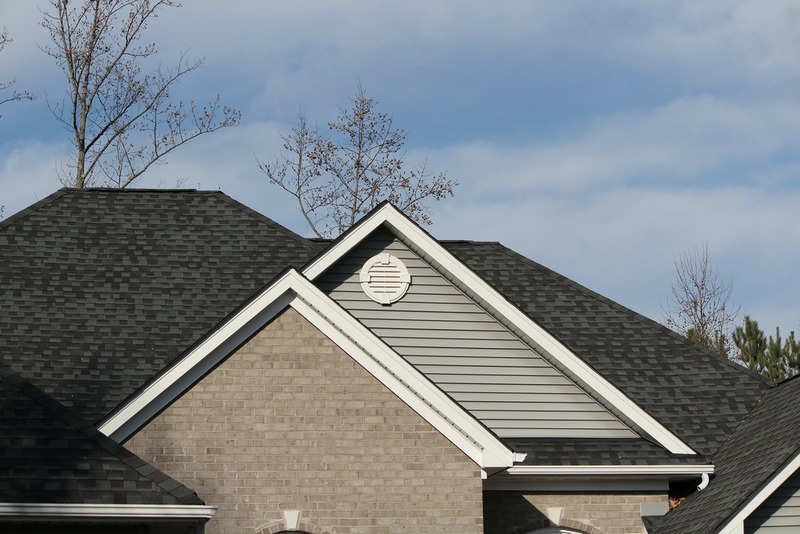 If it is safe to do so climb up and look for damaged, loose, or missing shingles. Clear up any debris and leaves off the roof as well. If your roof is inaccessible do a visual inspection from the ground. If you find damage, call a professional to get it taken care of asap. Water damage is not your friend, you don’t want to be facing major repairs when you find out you have a leak in November. Look for cracks, gaps, and holes by complete an all around visual inspection, if any are found attempt to fix them yourself or seek professional help. Keep rain downspouts clean and in good condition. Remove debris, leaves, and other junk as well as check for leaks. In the Pacific Northwest many homes come with water pumps to pump underground water out into the sewage system away from the home which could cause major damage (since many homes are built on wetlands). If your home is equipped with one of these pumps ensure it is in proper working condition and use it as necessary. Make sure to drain your hoses and put them in a garage or shed for safe dry storage until you will need to use them again. Turn off all outdoor faucets and consider purchasing faucet covers when you know freezing temperatures are approaching to prevent ice from building up and causing damage. Since you will not be using your sprinkler system in the colder months, turn it off. If you live in a place that gets intense cold weather in the winter consider even draining your sprinkler system to prevent damage as a result of water freezing inside the pipes. Many landscaping professionals recommend applying fertilizer right before the colder weather hits. It is said to help prevent winter lawn damage and keep weeds away once spring rolls around. Also it will guarantee a healthier lawn once spring comes around. This one is simple, check your fire extinguishers. Make sure that it is in working condition: the pin is intact, seals are good, no physical damage, leaks, or corrosion. Make sure the gage shows within the range of operable condition. If you don’t own a fire extinguisher consider purchasing one. They are relatively inexpensive but will be handy when the need does arise. Lawnmowers, power saws, and trimmers should be cleaned and emptied of any fuel. Blades checked and sharpened, and oil changed. Stored and put away in a dry safe place ready to be used once spring comes around. Everyone knows, during the winter months there is less daylight and thus greater demand for artificial light. Meaning lightbulbs see more use in the winter months than any other time of the year. While you are getting ready for the fall months check all the light bulbs inside and outside your house. Replace those that have gone out or will most likely soon go out. Have a pack of light bulbs handy laying around, because you’ll never know when you need them. Did we miss anything? Hope not, now is the time to get out and get these done before it gets cold and rainy. Check out the infographic we created covering all 15 tasks that you can download for yourself for easy and quick reference. If you want more home improvement tips & tricks, consider subscribing to an online journal we started called PDXPRO. Created by Divine Hardwood & Stone as well as many other professionals in Portland. Visit www.pdxpro.org to find out more information.